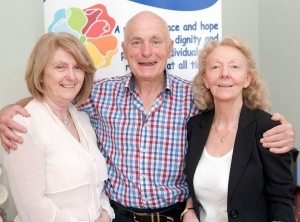 The Roscommon Cancer Support Centre is located at Vita House Abbey Street Roscommon. It was established in June 2013 and is affiliated to the Irish Cancer Society. By participating in the affiliation process we are part of the National Network of groups who provide information and support services to people with cancer. Our aim to to provide a range of support services to individuals undergoing their cancer journey. Our vision is to provide support that will enhance recovery from cancer for individuals and for their families. We provide an ongoing range of services which are available by appointment basis. These in include massage, reflexology, Indian Head and Reiki Therapy. We also have well being course : Pilates, Yoga, Meditation and weekend workshop on gardening, colour me beautiful and nutrition advice. Referrals for this service come from a number of sources. These can be self- referral, GP’s, Hospital consultants, clinics, Irish Cancer Society and community based nurses as well as other relevant organisations in our community. All our services are provided by suitably qualified practitioners and strictly confidential. Counselling services within the community setting are evidenced to improve the recovery process when we are in a time of crisis, such as getting seriously ill, we face many anxiety inducing challenges. We may be worried and stressed buy our illness, encouraging the wordy and stress of our family, or be faced with the financial burden of being ill.